which has seen unemployment slowly rise and job creation stall throughout several industries. As a consequence, companies have been forced to reduce their outgoings where possible, and this has meant that individual employee salaries have not risen in line with annual hikes in inflation. This has left households across the land with an ever decreasing amount of disposable income, which makes attempting to save an extremely difficult challenge. That is unless you are willing to think creatively, however, and seek to create new streams of income rather than maximizing your existing earnings through cost cutting exercises. No longer the distant aspiration that it once was, trading on the open financial markets is now a viable money making option for independent and part time investors. The forex market stands out as the best possible trading vehicle for beginners who have minimal disposable income, simply because of it’s unrivalled liquidity, relative simplicity and low risk nature. There are also a tremendous range of online platforms that afford novice investors access to sophisticated analytical tools and risk management techniques, so if you are astute enough to compare the different types of Forex trading accounts then you can build a steady source of income over time. While this may sound like generic advice, it is in fact a breathtakingly simple strategy that can develop an entirely new and independent stream of income. With cloud based technology and social media delivering real time trading connectivity to individuals regardless of their geographic location, independent contracting and freelancing are now viable and flexible working methods that appeal to both businesses and employees alike. So if you have a past time or talent that has a tangible value within the market place, then this can be realised to produce an additional amount of income in your spare time. This way, any supplementary money that you earn can be invested straight into a savings account. For those of you in the dark, the term passive income refers to money that can be accrued without any direct effort or action on your behalf. Dividend investing provides a good example of this practice, as it requires you to create a portfolio of supposedly safe, high yield investments that develop regular financial returns throughout the course of each year. These are deposited straight into your bank, and you do not need to monitor your stock options or make consistent changes in your strategy. Practices such as this allow you to continue to earn and make money through a regular day job, while accruing sizeable returns that can form the foundation of long term savings. It is true that while an economic recession has a largely negative impact upon society and the fortunes of families nationwide, it also creates opportunities for proactive and forward thinking individuals. People who are able to change their way of thinking are often more likely to enjoy financial success, as they can react to changes in the economic climate quickly and creatively. By investing time into increasing your levels of personal income rather than looking to reduce everyday costs, you can develop a long term savings plan that make genuine financial sense. I am trying to diversify my income as much as possible. Unfortunately though, it is easier said than done. The problem with forex is that you still need money in the first place to make money! Think I am going to re-read $100 startup! I haven’t read that book, but I’ve heard good things about it. I try to be skeptical about it still being possible to make passive money with a website, but then I look at my own affiliate websites. They’re chugging along with almost no work done on them in a long time. For sure, you can’t make much money with something like forex if your initial investment is too low. I have a friend that does quite well with forex, but I’m sure he invested a decent amount to start. I am not a huge fan of fired but I do think diversity in income streams is important. There are so many other ways to do it though like creating a side business. A side business is my preferred route too, but once I build up capital I will definitely be branching out to make my money work for me. Diversifying income streams is very important and should be practiced by everyone. I am concerned that this post talks about investing in FOREX markets. This is NOT a place for beginners and is extremely volatile. Probably should avoid this even if you are a fairly seasoned investor. I agree that it is a rather risky strategy for a beginner investor. My friend only does well with forex because him and his buddy created a software program that analyzed tons of different variables. Without that kind of detailed analysis, I wouldn’t get into it myself. Lately I’ve been trying to diversify my income streams a little more. I’m dipping a toe in trading, although I’m using the stock market. My wife and I have also expanded the garden, hoping to get in on the farmers market action. Trying out the whole blogging thing. Also, looking into the rental business. None of these can replace our current jobs but every little bit helps. The passive income thing sounds pretty nice, I think I’m going to have to find some of that next. If you can get some of those income streams working for you, you’ll be set. The farmers market strategy is interesting. I don wonder how a backyard gardener could fare in those markets. I guess as long as you don’t have to commit to a stall long term it is a pretty safe strategy. Thanks for the post. I completely agree that creating alternative revenue streams is important in this economy. If you’re able to be successful, then it can really boost your income. I would have to agree with the previous comment on Forex trading. It definitely is not for the novice and can be quite risky. Not only does it boost your current income, but it can be great backup in case you lose your job. If someone is looking to get ahead, they really should be putting in the effort to develop multiple income streams. I have been trying to diversify my income as well but it isn’t easy. My biggest challenge is time. I would like start a consulting business, keep the blog running, and keep my full time job but I haven’t yet figured out how to balance that in 24 hours a day. I have the same problem Miss T. It really reflects how time is the most valuable commodity. Some people are able to combat that by making certain sacrifices. Or sometimes you might be able to find ways to work more efficiently. And sometimes it’s only really possible to expand with the help of a business partner. Bitcoins. Haha, my brother told me about them – something about how he made $700 in one day. I guess they were more volatile back then or something. I actually had to google bitcoins to know what you’re talking about. $700 in one day is a pretty sweet profit though. That’s the advantage of getting in on some fads early on. Thanks for writing this! I am also trying to create various revenue streams aside from our 9-5 jobs and rental properties. We have cut our expenses so low that they cannot go any lower. Therefore, the only way to create wealth is to make more money! Sounds like a good plan to me. With how good a start your blog is off to, I’m sure you’ll develop a nice income stream there. Having that on top of 2 full time jobs and rental properties is pretty sweet. You’ll have that mortgage paid off in no time. I agree with the other commenter who was concerned that the post recommended foreign exchange markets as a simple, low risk way to generate side income. The average person out there should not just jump into the foreign exchange market and think they’ll be able to trade and find artibrage opportunities to make a bunch of money. There is significant risk involved, and it is not “simple”. I do agree with the general theme of the post, though, that generate side income can be a great way to make your budget go further. Yep, I probably should’ve added an editor’s note about that point. There are a lot of risks in the forex market, but then again most investments some degree of risk. It depends what you are comfortable with and whether you can risk losing your money. I know I need more certainty than that. Recommending Forex trading to beginners, especially as something that is low risk is just downright reckless advice. The only income stream you’re assuring someone there is a negative one. I wouldn’t go as far as saying they are guaranteed to lose money, but there is too much chance involved. Currency exchanges swing on far too many variables for the average new investor to accurately predict. I don’t think I have the knowledge or courage to use something like forex at this time. Investing right now is pretty basic and I don’t plan on using that money for a long time. Since my blog might not make money until I’m 90, we are going the investment property route now. We’ll see! The investment property route is usually a good one, even better if you are able to do maintenance and repairs yourself. Forex definitely isn’t for everyone, but then again I guess investment property isn’t either. I haven’t traded on forex, but I have a fairly large trading account. I am not a day trader as I have to work and mange my businesses as well, but I buy when a growth stock like Apple or Google goes down in value(using my technical analysis), and sell for a 15-20% profit. It has done well so far. Sounds like you really know what you’re doing with day trading Shilpan. I may have to pick your brain about some of that stuff. While I will likely focus mostly on long term investments, it could be beneficial to do a mix of both. I don’t think I’ll ever become a financial market trader, but I love the other ideas! I have to work on the passive income stream after I get this whole working with my talents thing down. There’s nothing wrong with avoiding being a financial market trader. 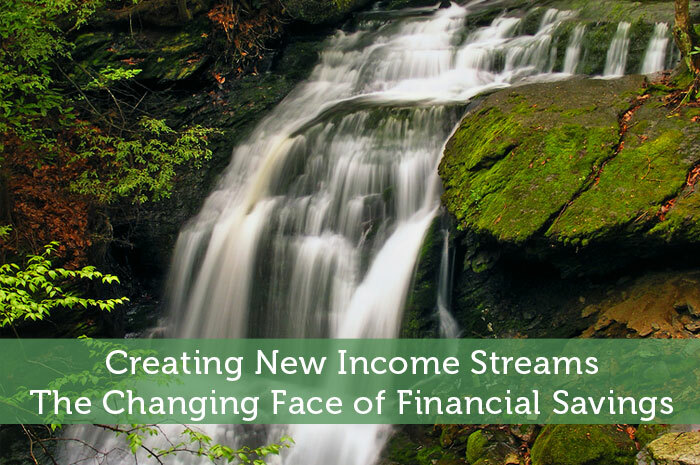 There are plenty of other ways to develop additional income streams. If possible the passive income stream should be developed first so that it can make money while you are building up other income streams. I know I’m fortunate to have money coming in each month from my old websites while I focus on this blog. @Savvy Scot I agree that the more money you have initially – the greater the possibilty of significant returns…or losses of course. @Brian I know that your opinion is strong and very right in essence. It would be extremely foolish to enter trading without any concept. There are quite a few free practice demo trading accounts out there for those wanting to speculate and avert risk. After all – if you have the means and it interests you – you have to learn and start somewhere right? Good point about the practice trading accounts. Those can be quite useful for getting a feel for how you might fare with such an endeavor. It’s a lot better to lose some fake money than the real thing. I love the idea of dividend investing, but haven’t really looked into yet. Don’t you kind of need a good amount of money to be able to earn decent income from them? Yep, it’s the same as nearly investment, your returns largely depend on how much you can afford to invest. The key is to regularly contribute and it will build up into a large amount. You can actually use your current IRA or 401K contributions to hold dividend investments. Either I’m doing something spectacularly wrong, or creating an income stream by turning a “passion” into a business is a lot harder than most people make it out to be. Some passions definitely take a lot of work to turn into a good business. Trying to do so while working long hours at a full job would make it a lot more difficult. Everyone has their own learning curve too. Some people have a lot of prior experience that can be taken advantage of while others have to learn a lot more to get the ball rolling.